Just attempt to upgrade your WordPress website only to find that the following message is stuck? Yeah. It happens. Especially if the upgrade fails / times out. Luckily, it’s not tough to get rid of this error. All you need is FTP access! Done! Was that easy? Good! Unfortunately though, you will likely have errors displaying now. This is because the upgrade most likely failed. 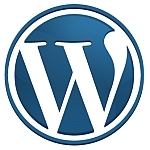 So manually upgrade WordPress to fix it. For me, this happened today with upgrading a WordPress website from WordPress 3.6 to WordPress 3.7. Hopefully this was able to help you!